Nov. 9, 2018, 9:46 a.m.
Plus: How “junk news” differs from “fake news,” and LinkedIn gets less boring (but not in a good way). By Laura Hazard Owen @laurahazardowen Nov. 9, 2018, 9:46 a.m. 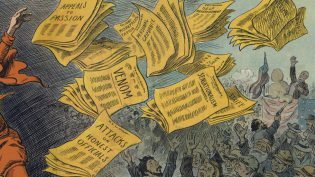 The growing stream of reporting on and data about fake news, misinformation, partisan content, and news literacy is hard to keep up with. This weekly roundup offers highlights of what you might have missed. Facebook has not “fixed it.” While nothing totally horrible, fake news-wise, appears to have happened on the United States’ Election Day this week, extensive research published this week by Jonathan Albright (whom I interviewed last year) shows what was still happening on Facebook three days before the midterms, in a three-part Medium series. We can talk about how scary WhatsApp is in other countries, and how Twitter might play a leading role in the United States elections, but it is Facebook’s Groups — right here, right now — that I feel represents the greatest short-term threat to election news and information integrity. Farrell: You argue that the most serious problem is Fox News, not Facebook. Why so? Benkler: Because that’s where the eyeballs are. The highly asymmetric pattern of media ecosystems we observe on the right and the left, despite the fact that Facebook and Twitter usage is roughly similar on both sides, requires that we look elsewhere for what is causing the difference. Surveys make it clear that Fox News is by far the most influential outlet on the American right — more than five times as many Trump supporters reported using Fox News as their primary news outlet than those who named Facebook. And Trump support was highest among demographics whose social media use was lowest. Our data repeatedly show Fox as the transmission vector of widespread conspiracy theories. The original Seth Rich conspiracy did not take off when initially propagated in July 2016 by fringe and pro-Russia sites, but only a year later, as Fox News revived it when James Comey was fired. 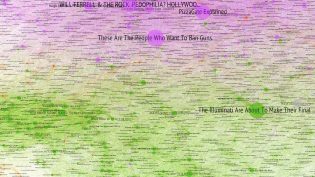 The Clinton pedophilia libel that resulted in Pizzagate was started by a Fox online report, repeated across the Fox TV schedule, and provided the prime source of validation across the right-wing media ecosystem. In 2017 Fox repeatedly attacked the national security establishment and law enforcement whenever the Trump-Russia investigation heated up. Each attack involved significant online activity, but the spikes in attention and transition moments are associated with Hannity, “Fox & Friends” and others like Tucker Carlson or Lou Dobbs. It seems more likely, though, that since Facebook has cracked down on fake news somewhat, people are just moving elsewhere, and now it’s LinkedIn reps who are making the statements about quality discourse and differences of opinion. “While most of our members do not share political content, we do believe that high-quality discourse that is relevant to our purpose, to create economic opportunity for every member of the global workforce, has a place on our platform,” a LinkedIn spokesperson told BuzzFeed News. What’s junk, anyway? The Oxford Internet Institute released the Junk News Aggregator, which aggregates all of the midterm-related news shared on Facebook by partisan outlets like Breitbart, The Daily Caller, Shareblue, RawStory, and so on. Under its methodology, any post that one of those outlets posts to Facebook is junk. That includes, for instance, The Daily Caller’s “WATCH LIVE: President Trump holds a press conference after the 2018 midterm elections,” or Breitbart’s “Just In: ‘We are proceeding to a recount,’ Bill Nelson said,” or The Blaze’s “Beto falls short. Cruz gets it done.” But those, like many of the stories these sites share, are actual news stories — from partisan outlets, sure, but factual themselves. What is the point of this exercise, then? The Oxford Internet Institute issued a press release saying that “Approximately 25 percent of shared content related to the midterm elections can be classified as junk news, compared to the 19 percent of shared content created by professional news outlets. Less than 5 percent of shared content came from government agencies, experts, or the candidates themselves.” (The 25 percent figure was then repeated by The New York Times.) But swap out “partisan” (“approximately 25 percent of shared content related to the midterm elections can be classified as PARTISAN news”), and this feels…unsurprising and obvious. It’s also not surprising that social content created by “government agencies” and “experts” performs worse on social media than content that’s explicitly designed to drive clicks. The far-right sharing fake news — or conservatives sharing conservative journalism? POSTED Nov. 9, 2018, 9:46 a.m.
Owen, Laura Hazard. "Facebook Groups are “the greatest short-term threat to election news and information integrity”." Nieman Journalism Lab. Nieman Foundation for Journalism at Harvard, 9 Nov. 2018. Web. 23 Apr. 2019. Owen, Laura Hazard. "Facebook Groups are “the greatest short-term threat to election news and information integrity”." Nieman Journalism Lab. Last modified November 9, 2018. Accessed April 23, 2019. https://www.niemanlab.org/2018/11/facebook-groups-are-the-greatest-short-term-threat-to-election-news-and-information-integrity/.